In a desolate and empty parking lot, two young men work to revive a dead Nissan 200SX. A stranger comes to their aid, then appears out of nowhere again later, offering words of encouragement—and leading to an inexplicable story that both of them would carry for 20 years. It sounds unbelievable, but it’s a true car story. And it’s the first of many you will hear on Tempest, the Jalopnik podcast. In our inaugural episode, Tempest host and Jalopnik contributor David Obuchowski begins with a tale he’s lived with for two decades but has often been afraid to tell. It’s so strange, he says, that he wouldn’t believe it himself if it weren’t for his brother being there too. 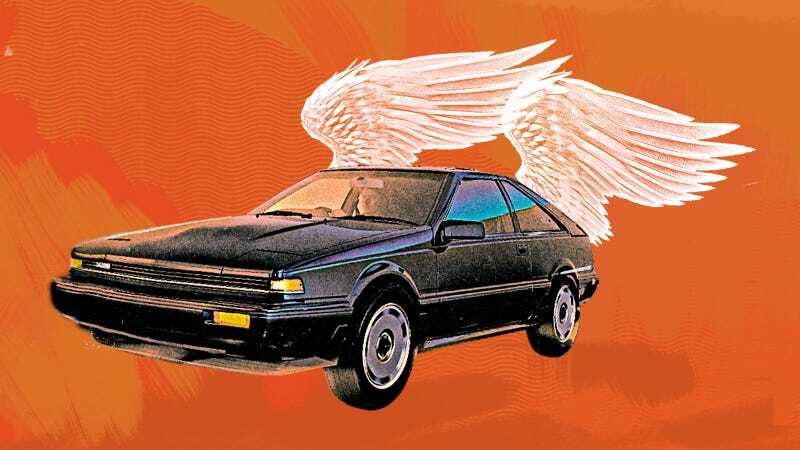 Back in 1995 or 1996, a young David went to visit his college-aged brother in Illinois, and their trip in a beloved Nissan 200SX ran into some mechanical problems on the road—problems that were solved with their own hands, some tools, and the encouragement of a mysterious benefactor that both of them have wondered about to this day. Tempest is produced by Fusion Media Group Executive Director of Audio Mandana Mofidi with editorial oversight from Patrick George and Kristen Lee.